The Zevenwacht Auditorium has seating for sixty-four delegates, the Auditorium is lavishly equipped with the most advanced technological facilities. Seating sixty-four delegates, the Auditorium is lavishly equipped with the most advanced technological facilities which include a high quality multi-scan projector, video sourcing capability, audio geometry, recording equipment, video conference and computer facilities capable of interfacing with the international technology of overseas lecturers. There is also a professional sound support system coupled with a hi-tech stereo mixer. 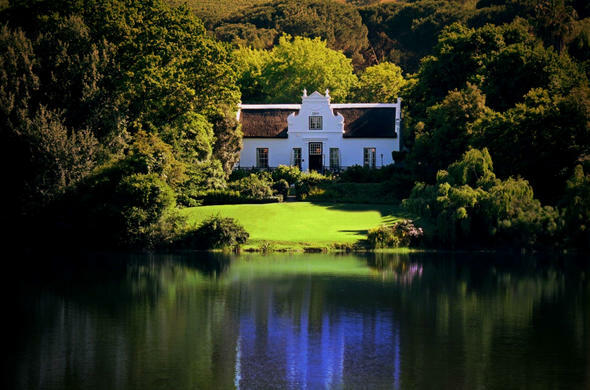 Located on the Zevenwacht Wine Estate, the Auditorium will provide delegates with exceptional accommodation and exquisite cuisine. Additional conference venues include the Lookout, Alfresco and the Clubhouse. Final numbers are required 48 hours prior to the function -we will cater for that number and charge accordingly. Vegetarians can be catered for, please advise. Please note the kitchen is neither Kosher nor Halaal but Zevenwacht Estate is able to provide such catering from their Halaal Caterer. Be advised that we require a 50% deposit paid prior to your function date as confirmation of booking.